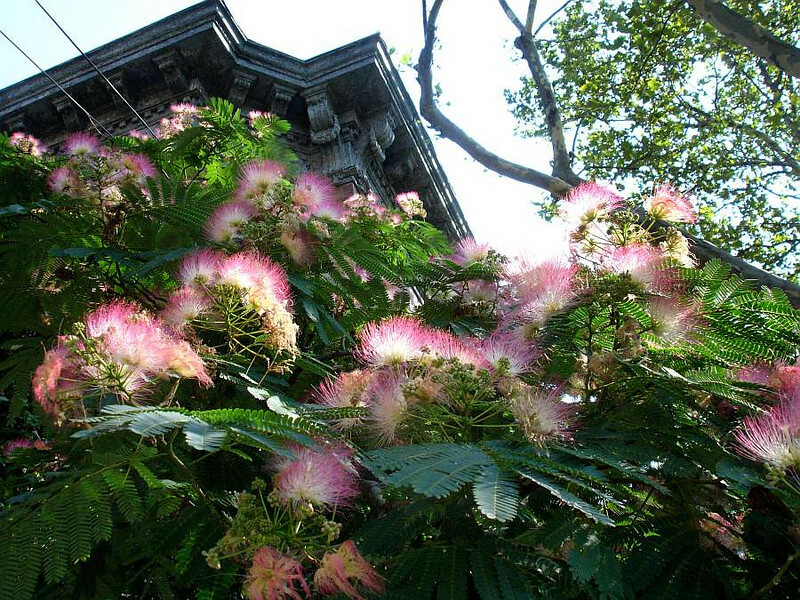 Silk tree blossoms. Note the exuberant style of the cornice. Photo taken in 2005. By 2008, the tree has collapsed in the winter winds and is now just a bare trunk.